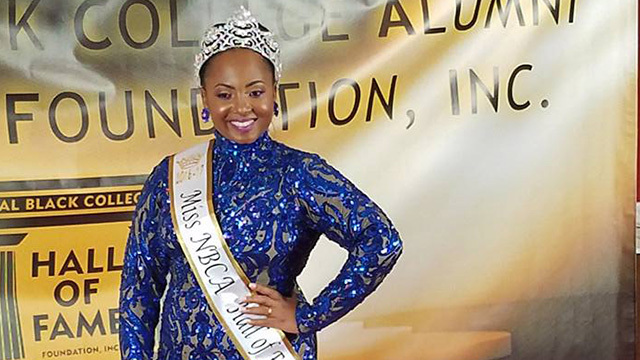 THG News (Sept. 26, 2016) — The University of the Virgin Islands (UVI) and St. Kitts and Nevis continue to revel in Che-Raina Warner’s victory at Saturday’s National Black College Alumni (NBCA) Hall of Fame Pageant in Atlanta, Georgia. Warner walked away with this year’s title, adding another crown to her collection. 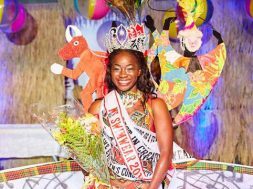 This year, she was crowned Miss UVI but that was after she won the Haynes Smith Caribbean Talented Teen Pageant in St. Kitts several years ago. During a post pageant interview, Warner said people should not be defined by their circumstances, noting that her university is the only historically black college or university that is not located on the continental United States. Warner, of Sandy Point on St. Kitts, had the support of her Parliamentary Representative, Hon. 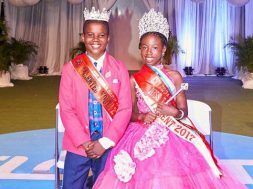 Shawn Richards, at the pageant which took place at the Hyatt Regency Hotel. 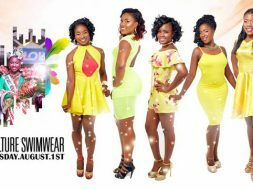 Her official entourage featured the Graduate Assistant at UVI and the university’s Director of Student Activities. 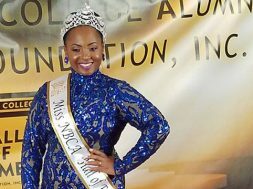 The Miss NBCA Hall of Fame Queen Pageant brings together college queens from across the United States. 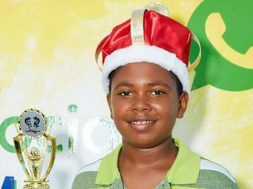 As this year’s winner, warner will receive an academic scholarship of US$5000 among other prizes.